American Bulldog is all about force and power, independence and uncompromising spirit, endurance and devotion. Such a dog needs an owner to match for - strong and confident person, ready to devote enough time for Bulldog's education. Despite what many people say about the stubbornness of this breed, it is not so. They are perfectly amenable to training, like to do obedience and protection. If relashionship between a dog and its owner are set correctly, Bulldog will work with pleasure. 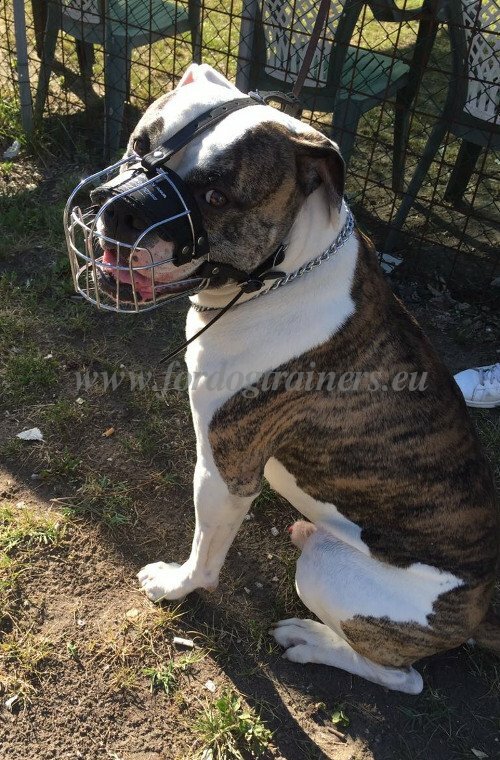 Of course, to walk the Bulldog in public places, you need a muzzle, matching this breed strength. It is a Wire Basket Muzzle for American Bulldog, made of nickel-plated wire. 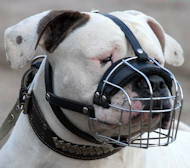 Besides law point, the muzzle will protect your Bulldog from eating trash and stones, at the same time allowing him or her to breathe freely. 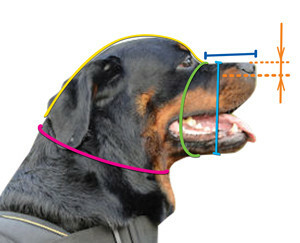 In fact, your dog will be able even to pant and to drink water while muzzled. The original purpose of this breed is protection of cattle and territories. Today, there is a plenty of work for American Bulldog - it is trained for protection, serious sports, police service, weightpulling. And, of course, the muzzle is required for some of its acitivities. The represented muzzle for Ambull has soft leather straps and a nose padding to assure more comfort. 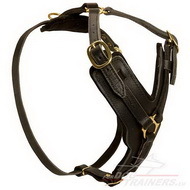 Choosing the size of the muzzle corectly, you will get a snug wire muzzle for years of comfortable use. See other Dog Gear for American Bulldog, Dog Gear for Sports, Excellent Training and Walking Harnesses and other outstanding products for your dog in our on-line pet store! 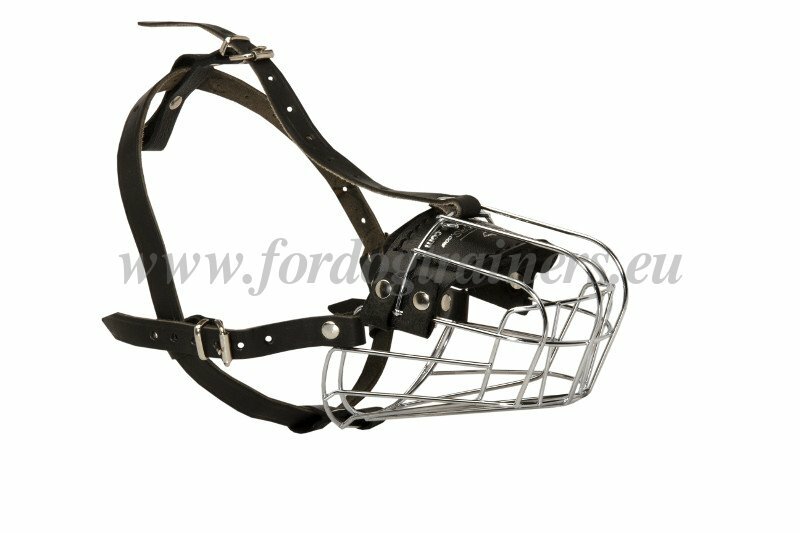 Good evening, I am very satisfied with the muzzle, this is an excellent product of high quality, both in terms of materials used and in terms of reliability. With great pleasure I attach a photo of my American bulldog of 3.5 years, named Dux.